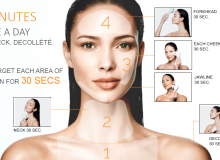 Clarisonic introduces the brand’s first-ever anti-aging offering! A two-in-one skincare device that will give your face, neck and décolleté a younger looking dedicating only three minutes twice a day! Summer bandanas for men are the new fashion trend! Here's how to wear them. These amazing fashion and beauty brands pay tribute to their Latin American roots. Celebrate the Latino culture and identity all year long with these dope must-have items. How To Make Your Guy Look His Best! 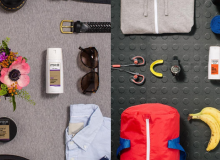 AXE is giving men the tools to express what makes them unique, authentic and ultimately attractive to the world around them. Check here what's new and how you can get it! What's the best part about a season change? A new beauty routine! We created a list of the products that are filling our makeup bags this spring. 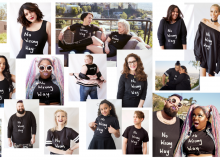 Denise Bidot officially launched her new fully inclusive lifestyle campaign called "The No Wrong Way Movement," with the mission of celebrating everyone's individuality and uniqueness. 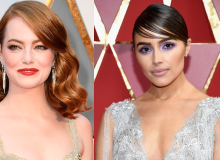 Emma Stone and Olivia Culpo's glam teams shared with us how they created these head-turning hair and makeup looks for Hollywood's biggest night: The Oscars. Thalia attended Premio Lo Nuestro wearing a mesmerizing dress from Dominican designer Giannina Azar she found on social media. Mexican-American singer Becky G flaunted a perfect, effortless, and classic hairstyle during Premio Lo Nuestro 2017. Her hairstylist exclusively shared the step-by-step to achieve the look! How To Get Thalia, Chiqui Delgado PLN Magenta Carpet Look! Two experts shared exclusive details on Chiqui Delgado and Thalia’s Magenta Carpet look at Premio Lo Nuestro 2017. The 2017 Sports Illustrated Swimsuit Edition is making waves showing model Denise Bidot and her stretch marks for Lane Bryant ad. Check here how the plus size model is changing the game! 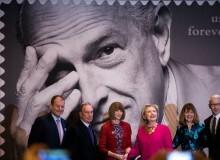 The US Postal Service launched a new series of stamps in honor of designer Oscar de la Renta. Anna Wintour and Hillary Clinton attended to the ceremony held at New York's Grand Central Terminal. The recognized W Magazine created a campaign with 81 fashion figures to make a statement over Trump's position on immigration. From Adriana Lima to Diane von Furstenberg, this is "I Am an Immigrant."